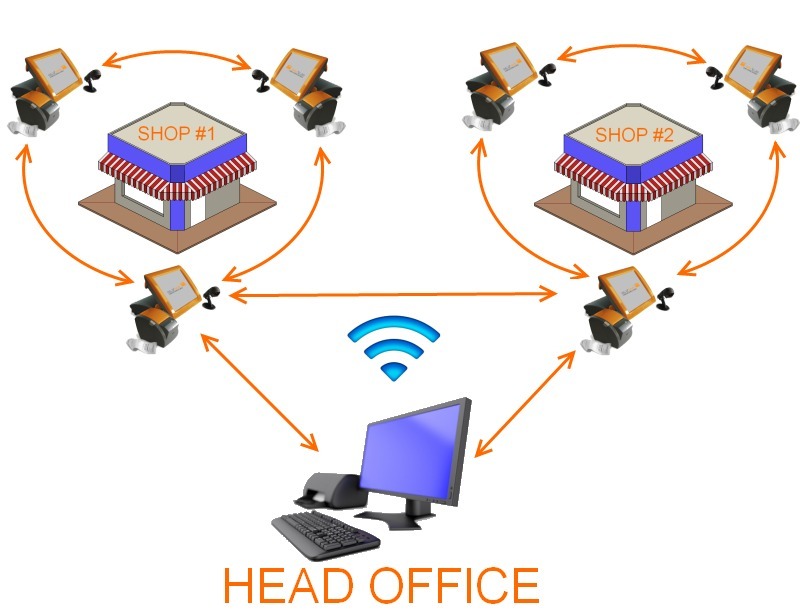 JustScan have developed a Multi Shop solution so that if you have more than one business selling similar stock you have greater control over the whole operation. Most of our MultiShop customers started out with a Single installation of a JustScan solution and have grown with us to open second and subsequent outlets. If you or your staff spend time creating all your products and keeping your prices updated, imagine the time involved doing this in two or more shops? JustScan MultiShop solutions allow you to manage and control pricing from one central location. We have found over the years that every business is different and works in different but similar ways. With over 16 years of Epos experience behind us, JustScan will find out your exact business requirements. Based upon this information, we will advise you of the solution that will best suit your needs. We know that what is best practice and what will actually work 'in practice' are two completely separate things. We all have the same goals in mind though - to streamline the business processes, give greater functionality and manage the business better. How exactly will it benefit the business? Enhance your customer's experience by allowing them to redeem in any branch. This will help increase your sales of Gift Cards & Vouchers as you are offering a greater selection of products by allowing customers to spend in any branch. You can also generate business you otherwise may not have received because of this reason. If you get a new range of goods in one branch, these can either be created at Head Office or in a branch then authorised at Head Office. Once all the products have been approved, they are added to the product file in each shop saving the business a lot of administration time having to recreate them in every other site. A retailer must get value from suppliers in order to give value to their customers. With JustScan MultiShop, you can create an order for a supplier based on past sales of one or all branches. The bigger the order - the bigger the discount and bonus deals offered by the supplier. These savings can be passed on to the customer or retained to improve the businesses overall margins. When attending trade shows or negotiating better rates with suppliers, wouldn't it be great to know how much business you have actually given them? Most of our customers run a report to see how much they have spent with a supplier in a certain period. This little reminder usually opens up new deals and discounts from the supplier to the savvy retailer.